The Sena president said it is the prerogative of the state Assembly to decide on the demand for quota in jobs and educational institutions. Shiv Sena president Uddhav Thackeray on Monday said that the state government must convene a special Assembly session to give reservation to the Marathas without waiting for the report of the State Backward Class Commission, which has been entrusted with the task of studying the socio-economic status of the community. “The Maratha community had held several peaceful protests two years ago but the issue was not considered seriously. The ball was put in the judiciary’s court. We had demanded a special Assembly session two years ago and it has now been accepted by all Opposition parties and the government,” said Uddhav after a meeting with Sena ministers and legislators. “In the special Assembly session, all political parties should take a decision on the issue and send it to the Union government for approval in the Parliament. Now, a special Assembly session should be called without waiting for the commission’s report,” he added. 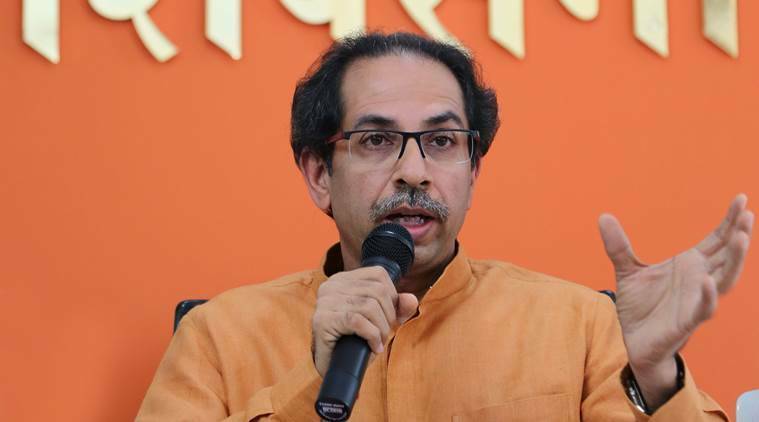 “Apart from the Marathas, the decision about the reservation demands of Dhangar, Muslim and other communities should also be taken into account,” said Uddhav, adding that the Sena would support the state and the Union government on the issue. If there are such demands from other states, then it should also be resolved, he added. Later, a Sena delegation met Chief Minister Devendra Fadnavis and handed over a letter, for the special Assembly session to be convened without waiting for the commission’s report. Meanwhile, in an editorial in the party mouthpiece Saamana, the Sena slammed the BJP-led government over the deaths of 30 people after a bus fell in a gorge at Ambenali Ghat in Raigad district. “Putting up Japanese tracks for bullet train is not development but preventing the Raigad bus accident and mass deaths is development,” said the editorial. “The state government says don’t go to sea for picnics as youngsters may drown. It also says don’t go to waterfalls as accidents happen. Now, would it say that people should stop traveling in a bus due to accidents,” it asked.